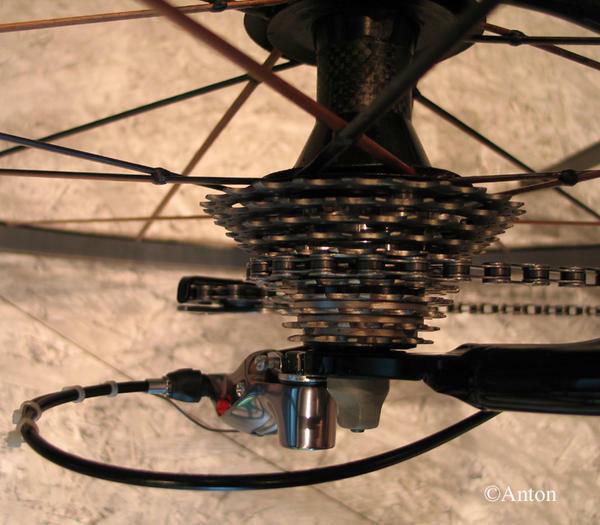 Anton could take some interesting pictures on the Jan Ullrich conference presenting his new bike line. It seems I’m the only one being surprised to see a 11 speeds setup on the pictures. 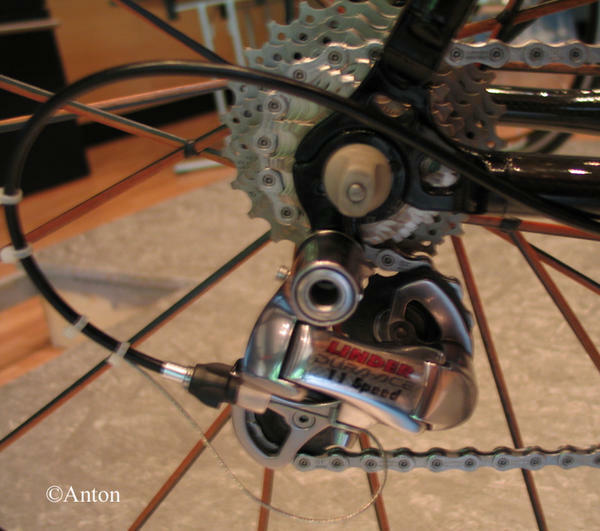 Not really much informations, actually almost no information about it but we can clearly see Linder rear derailleur, shifter and cassette. I’d like to say it’s custom setup. Eleven speeds would be nice on road bikes.